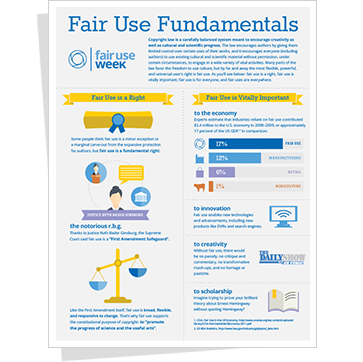 Fair Use/Fair Dealing Week is an annual celebration of the important doctrines of fair use and fair dealing. It is designed to highlight and promote the opportunities presented by fair use and fair dealing, celebrate successful stories, and explain these doctrines. This information session will give an overview of copyright and fair dealing, look at how fair dealing benefits members of the UNBC community, and discuss the future of fair dealing in Canadian education. All are welcome!